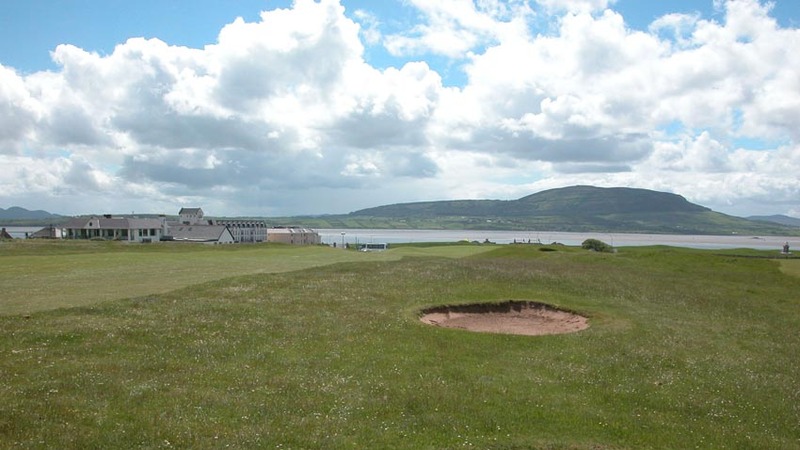 County Sligo Golf Club in Rosses Point Ireland, designed by Harry S. Colt in 1927, is a course that should automatically be mentioned in the same breath as the other great, old, and historic Irish golf courses. 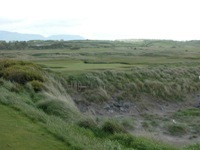 More commonly referred to as Rosses Point, set right in the heart of Yeats Country, County Sligo Golf Club combines spectacular, challenging golf with playability for the average golfer, and if not for its location in the northwest, away from the other famous links, County Sligo Golf Club might well be regarded as one of Ireland’s top 3 golf courses. 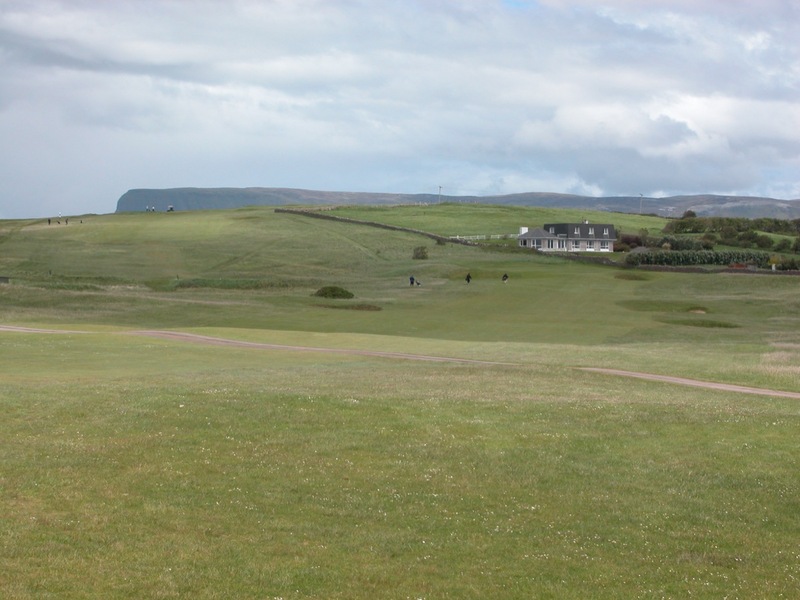 The first two holes at County Sligo Golf Club climb a towering hill, leading to two incredible downhill tee shots on the 3rd and 5th. 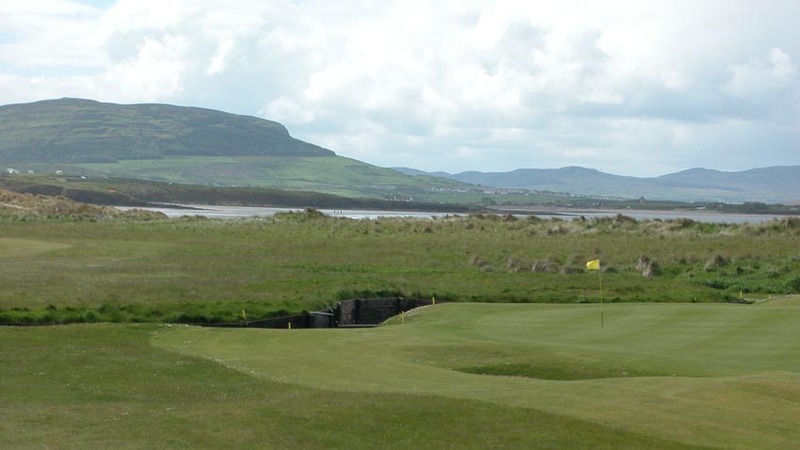 The rest of the County Sligo course plays down along the shore, with beautiful, flat-topped Ben Bulben towering over the links, providing one of the most scenic backdrops to be found in Irish golf. 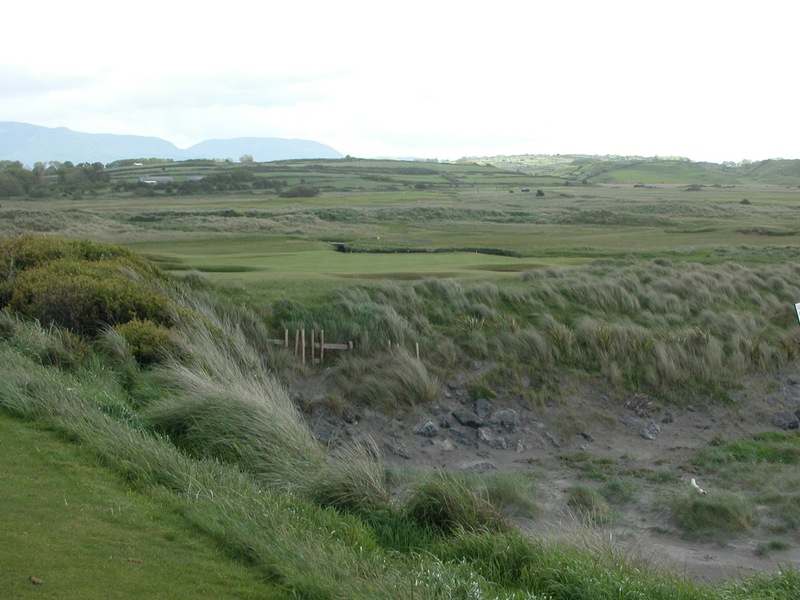 County Sligo Golf Club culminates with what we think is the most difficult par-4 in Ireland, the 17th. 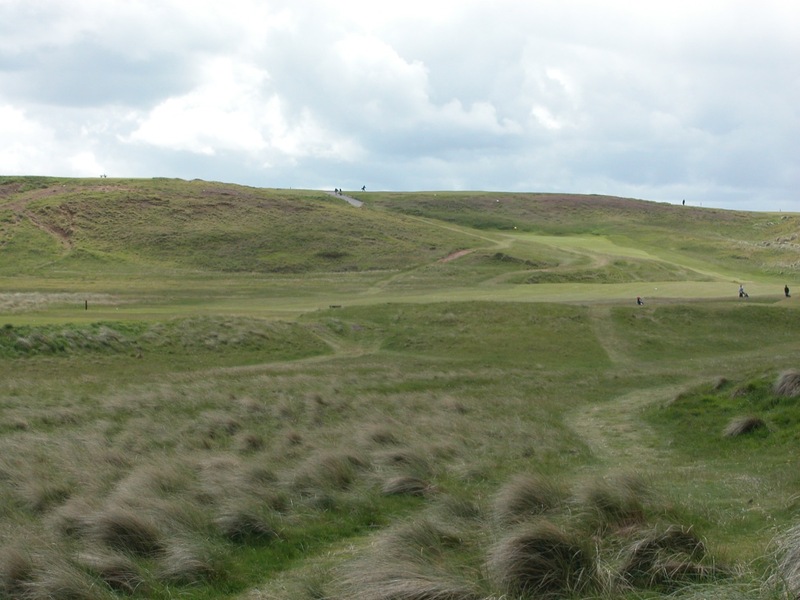 It is an uphill, dogleg-left, 450 yarder, with the prevailing wind right to left, and a hill just off the left of the fairway that is guaranteed to ensure no shot whatsoever if you venture even a yard too far left (as we did!). 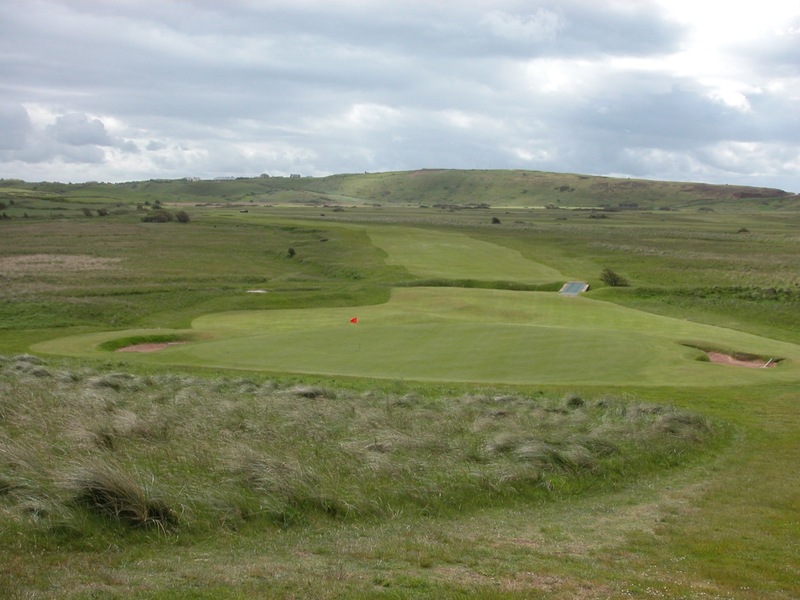 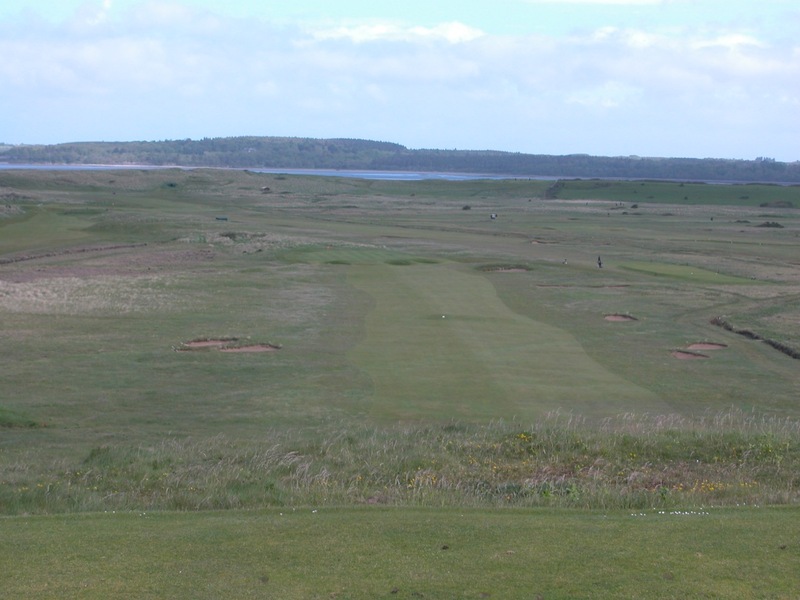 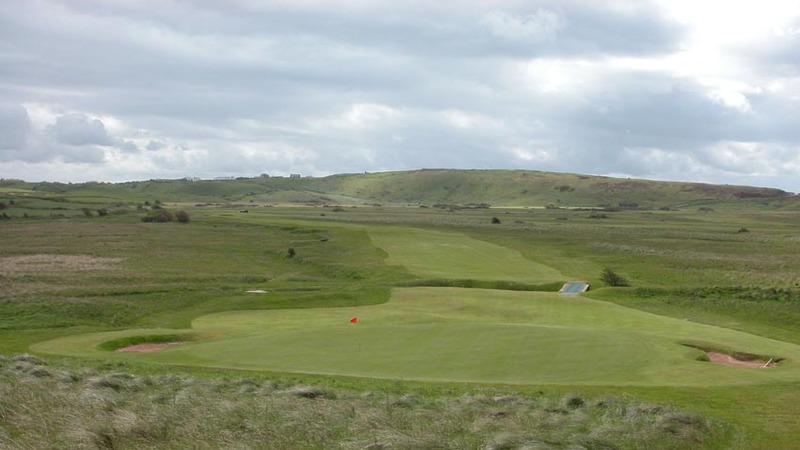 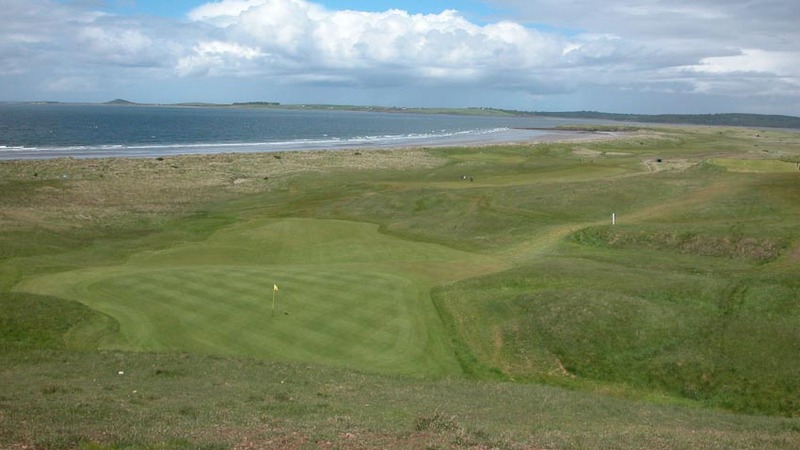 County Sligo Golf Club calls to mind Royal Dornoch in Scotland with its impeccable grooming around the elevated greens, many of which are turtle-back in design, with fringes shaved close, repelling even the slightest mishit or offline approach back down the slopes. 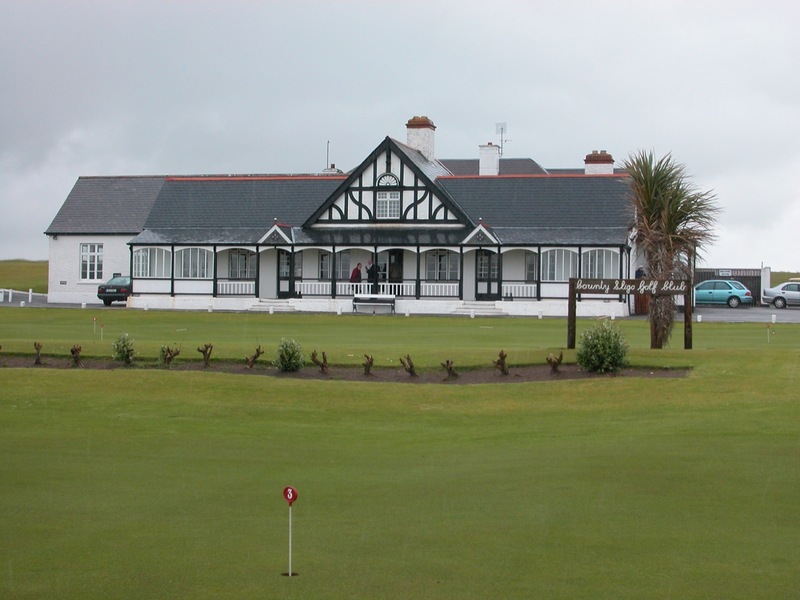 The County Sligo Golf Club clubhouse, a quaint tudor design with two large putting clocks, is one of a handful of real classics in Ireland. 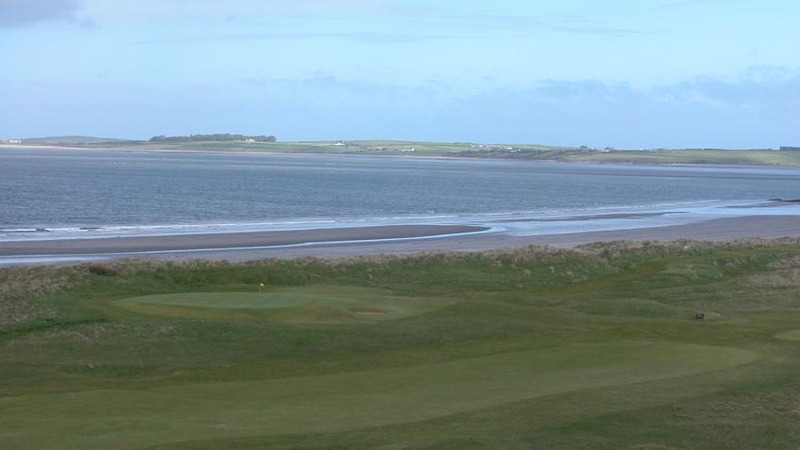 County Sligo, like Ballybunion and Royal County Down, should be a “given” to include on Ireland golf tour, limited only by location but you won’t regret a visit! 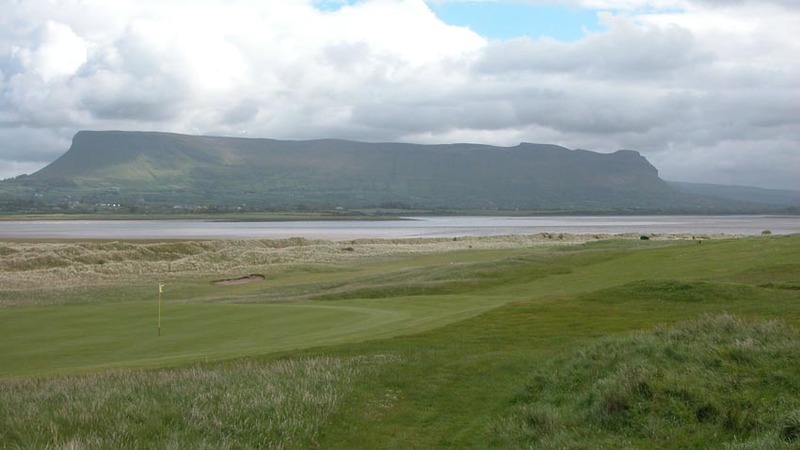 County Sligo Golf Club is a very special place indeed!